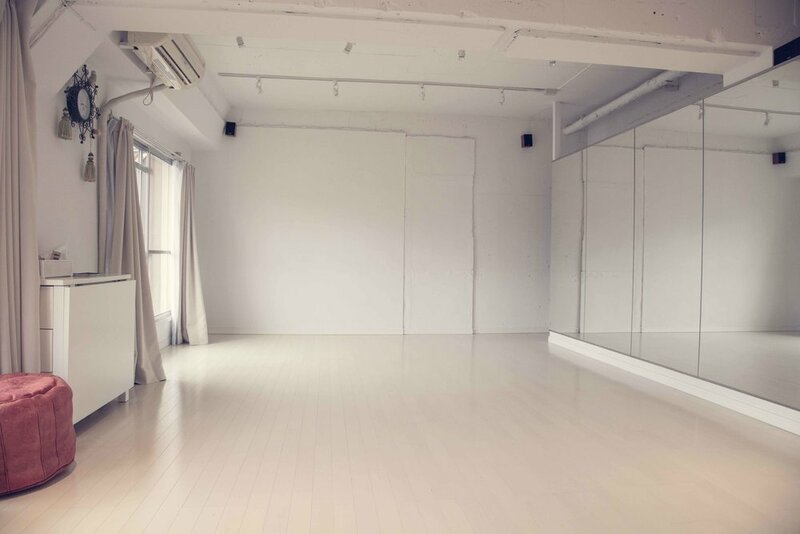 Our light, bright studio space in Azabu Juban is available for rent by the hour or on a regular basis for photographers, dance instructors (barefoot preferred), yoga, pilates, reiki, meditation, meetings, social gatherings, etc. It’s in a prime location in Moto Azabu, one minute from the Azabu Juban shopping street and a few minutes from Roppongi Hills. It’s just a short walk from Azabu Juban station (around 5 mins) and Roppongi Station (around 12 mins). The space includes wall-to-wall mirrors on one side and slightly cushioned flooring for dancing, etc. The interior is all white and the space gets all-day sun. Usable area is approx. 6.2m x 3.8m with ceiling height of 2.5m. We are offering super good pricing, especially considering the location. Contact us here for more details and bookings.